If you’re looking for a healthy breakfast recipe to add to your rotation, this would be a great recipe to try! Especially during the Fall. Add oats and sea salt to a pot, add water and stir to combine. Heat over medium-high heat for 8-10 mins or until all the liquid has been absorbed. Be sure to stir the oats several times while cooking. You’ll know the oatmeal is done when all the liquid is absorbed and the oats are thick and fluffy. 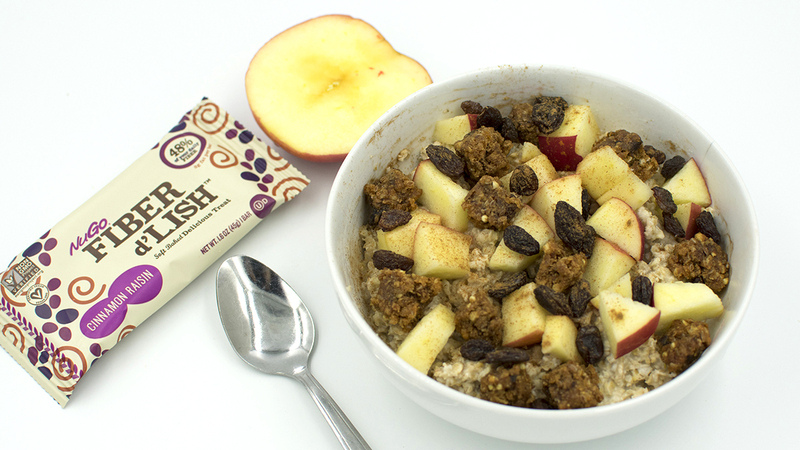 Put into a bowl and top with apple slices, raisins, Fiber d’Lish Cinnamon Raisin and some cinnamon on top! Enjoy!